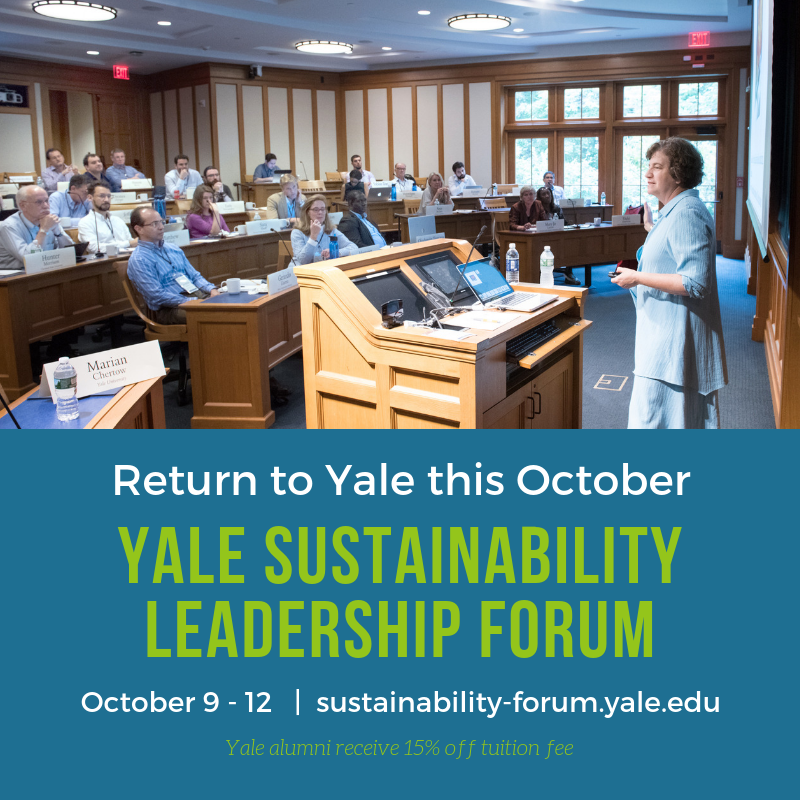 The Yale Sustainability Leadership Forum is back for its third year on the Yale campus this October 9-12. Expert speakers will cover a broad range of disciplines and offer both the conceptual and practical tools to help policy makers at all levels of government, public and private sector executives, and anyone in a leadership role to advance sustainability in their workplace. Topics explored include innovations in the provisioning of energy, green engineering, industrial ecology and the circular economy, investing, corporate social responsibility, carbon markets, and more. For more information and to apply, please visit https://sustainability-forum.yale.edu. Yale alumni receive 15% off the tuition fee with code YA15SL. Space is limited.